To celebrate the fantastic spectacle that was the Formula One British Grand Prix 2014, here at What’s My Claim Worth we’ve decided to compile this list of the most dangerous cars ever made. We’ll be looking at cars manufactured in a Yugoslavian factory that was eventually bombed by NATO, 4x4s that spent more time on their roof than their wheels and a car that achieved the lowest score possible during NCAP driver safety testing. Either way, if you own any of the cars on our list, you’ll probably need to get in touch with us. Do drivers like breathing clean air? A question with an obvious answer, but one unfortunately overlooked by the engineering department at Chevrolet when this car was being designed. The first in a list of issues that has caused this vehicle to go down as one of the most dangerous cars in history is that air from the engine was used to work the heater. This caused the passenger compartment to flood with carbon dioxide. Obviously, this was not ideal, but when you realise that this was far from the most dangerous thing about this car, you really start to get concerned. 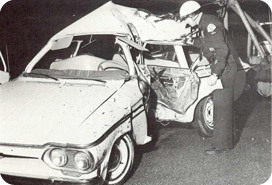 The Chevy Corvair was prone to roll-over and loss of control, which can be traced back to the decision to make the car rear-engined. 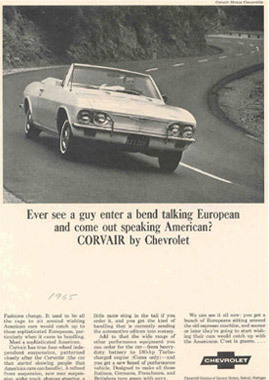 A decision made ultimately for the sake of stylistic vanity and cost-effectiveness, or in the words of the Chevrolet marketing department, “the most aesthetically pleasant” option. The choice to put the engine in the back was made so the car could have a lower ride. This was an important factor to give it the desirable good looks needed of a new car in the late 50’s to early 60’s. This was combined with the need to accommodate six adult passengers, and provide them with a very smooth ride. Unfortunately, the other engineering requirements needed to make a rear-engine car safe were overlooked to accommodate these more cosmetic requirements. 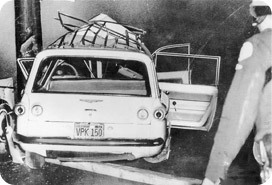 This meant that shortly after the 1960 Corvair was released, it was allegedly responsible for a number of tragic accidents. These road accidents were almost always made worse by the rear tyre popping away off the rim before coming into contact with the pavement and increasing the severity of the incidents. The rear tyres behaving this way can be attributed to the fact that the tyre pressure was set at a crazy 15 lbs for the front wheels and 26 lbs for the rear. While this would certainly give the ‘smooth ride’ desired by Chevrolet, it was completely unsuitable for a rear-engine car. 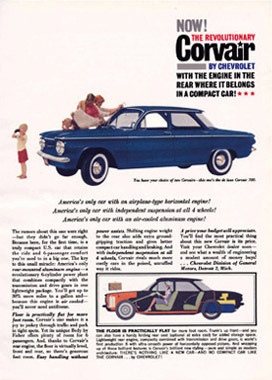 This is why the Corvair has made our list of the world’s most dangerous cars. The CK1 is a car built by the ambitious Chinese car manufacturer Geely. Sadly, when they designed this car, safety was not a priority. 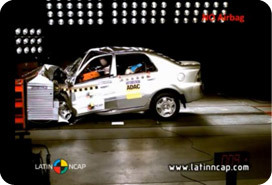 It is one of the few cars ever to receive a score of zero for adult protection in NCAP assessment. 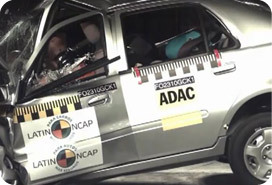 It was declared that driver protection was “poor for most body regions”, which seems to be something of an understatement when the video of the NCAP testing is viewed. Thankfully it bought Volvo from Ford in 2010, and now Geely own the brand often considered to be responsible for making the safest cars on the road, what could possibly go wrong? 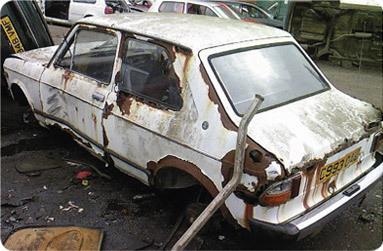 Over the years, the Yugo GV has developed a reputation as not only one of the most dangerous cars in the world, but generally one of the worst cars ever made. Before looking at why the Yugo GV has such a bad reputation, it’s worth looking into its history. 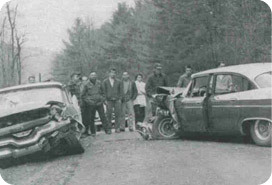 Things didn’t get off to a good start when the decision was initially made to bring the Yugo to America. The CEO of Yugo America, Malcolm Bricklin toured the Zastava plant in Kragujevac, Yugoslavia, where the cars were manufactured. He witnessed workers at the factory, renowned for drinking plum brandy between the hours of 6:00 am to 1:00 am, throwing new body panels on a pile, meaning they were already dented before they even went on the car. Blessed with the kind of tunnel vision that only an entrepreneurial maverick of Bricklin’s extremes could have, he failed to spot this was an issue. Upon returning to America after his tour of the plant with his second in command, he faxed over a list of changes needed. Unfortunately, the Zastava factory didn’t have a fax machine, so by the time his changes came through, the list was four metres long. 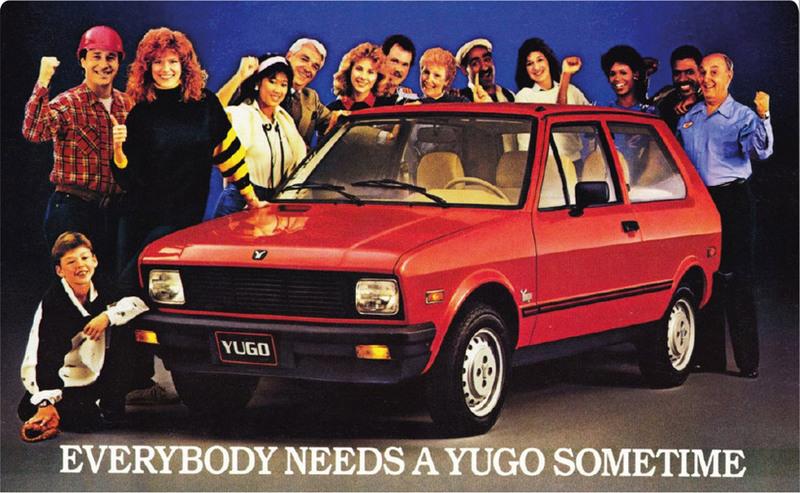 So, the Yugo GV (the GV stood for ‘Great Value’, although for some reason this was omitted from marketing materials), was manufactured and sold incredibly cheaply. Upon its launch, this created a trend called ‘Yugomania’, which saw the Yugo GV selling at a rate of 1,050 cars per day at its peak. It was at this point that fate stepped in, and a number of critics got their hands on the car, calling it a ‘degenerate hunk of trash’ and ‘a vile little car’. By the time the reviews had reached the printing press, the engines in the Yugo GV’s were already beginning to rattle themselves apart, which proved to be incredibly dangerous. The Americans went from loving this little car to loathing it just as quickly as it took for the engines to dismantle themselves. By 1999 there was only one Yugo registered in the State of Florida, and NATO decided to bomb the factory in the same year for good measure. 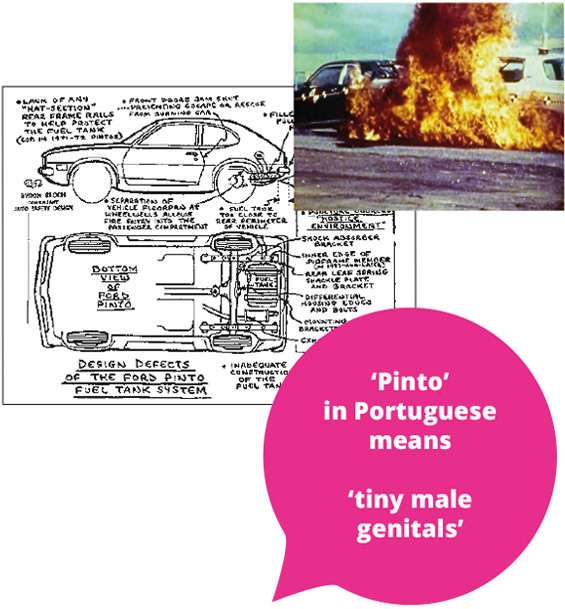 The Ford Pinto was the American version of the Capri, and it has been responsible for between 27 and 900 burn deaths, depending on who you listen to. The story behind the design and manufacture of this car has been something of a legal nightmare for Ford. 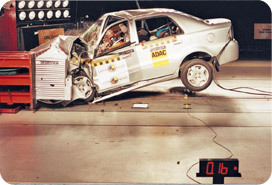 Allegations have been thrown at the automotive giant that Ford engineers discovered this fault in pre-production crash tests. But because assembly-line machinery was already tooled when the defect was identified, top Ford officials decided to manufacture the car anyway. All this even though Ford actually owned the patent on a much safer gas tank at the time, which it had used in the Capri. You will notice that ‘safety’ is not listed in these objectives, and indeed one mention of the word couldn’t be found in the entire product objective document. Lee Iacocca is now infamous for saying, “safety doesn’t sell”. Sadly, this view contributed to manufacturing one of the most dangerous cars in history, and it has cost a number of people their lives. Leaving a scene or situation in a hurry. E.g. That taxi driver has come to pick me up in a Yugo GV. 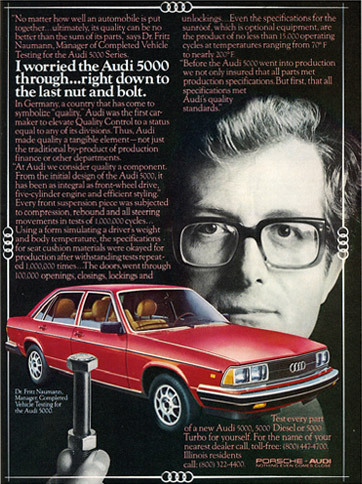 I better Audi 5000. In fact, it has many urban dictionary entries, all of which are variations on that theme…leaving in a hurry. 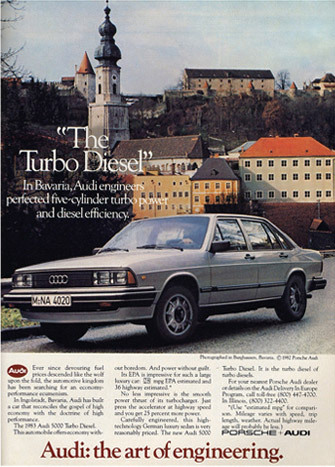 This hasn’t come about because of the efficiency and speed of the Audi 5000 in transporting passengers to their destination, but rather because a design oversight caused the car to be plagued with ‘unintended acceleration’ issues. 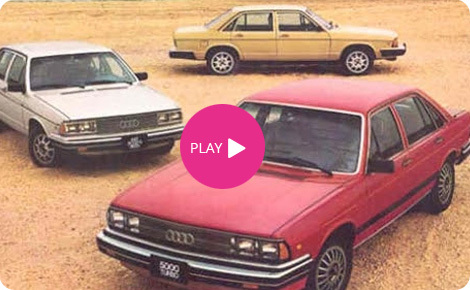 The Audi 5000 has in fact been linked to 6 deaths and 700 accidents due to its propensity to launch itself and its occupants into nearby objects. The design flaw mainly affected the cars equipped with automatic transmission when they were put into gear from park, causing a sudden burst of acceleration backward or forwards. 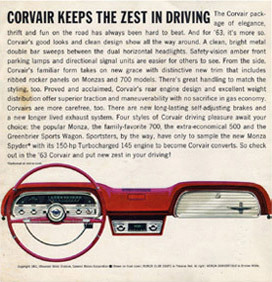 This is the second entry from Chevrolet on our list, and things didn’t really get too much better for them from a health and safety perspective after the Chevy Corvair. 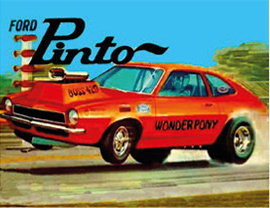 In an article the New York Times published on the car in 2006, they recounted a story from twin brothers, John and Jim Winkler, who shared a Vega in 1980. 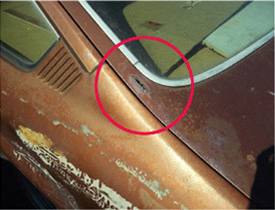 John recalled the car rusted so badly that within four years the windshield fell out, and was using more than a litre of oil every 100 miles. It wasn’t just dangerous for the driver and other road users; it was a danger to their bank balance as well. 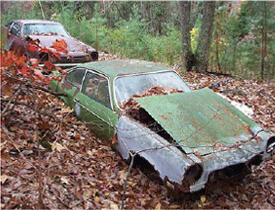 Forbes, who included the Chevy Vega in its worst cars of all time list, described it as an ‘engineering lemon’, on account of the sheer number of problems it had. This is particularly relevant to the engine and its structural integrity. The popular ‘Car Talk’ show in America recounted a story about the Vega and the quality of the chassis. 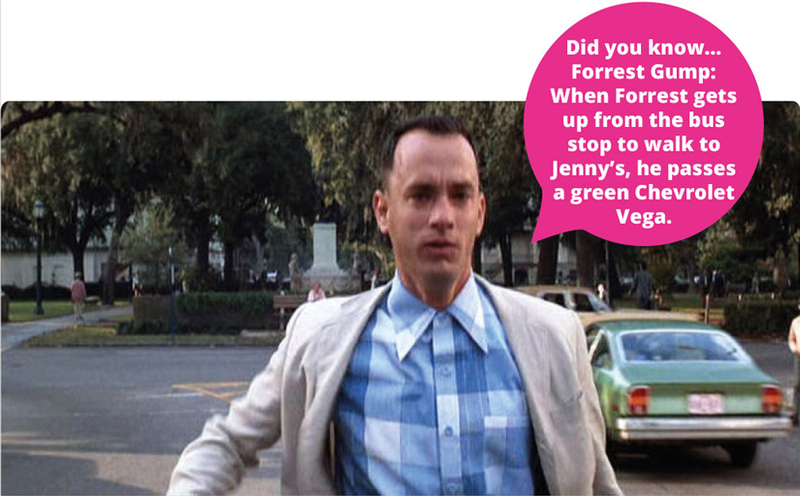 “My Chevy Vega actually broke in half going over railroad tracks. The whole rear end came around slightly to the front, sort of like a dog wagging its tail,” recalled one person interviewed. 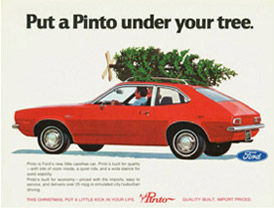 Perhaps fittingly, the Chevrolet Vega was regularly a prize given away to winners of ‘The Price Is Right’. 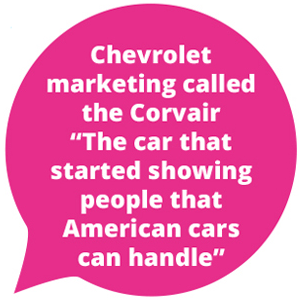 You do have to wonder whether the contestants were actually happy with their prize, especially considering the show never gave away Chevy Novas or any of the more successful Chevrolet models. 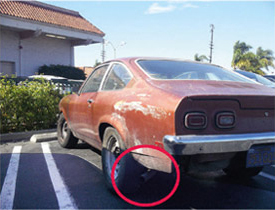 These days, fans of the Vega (there are at least three…) have been pushed into dark quiet forums and reduced to exalting when they spot their car in a film. Thanks for taking the time to read through our article, we hope you’ve found it interesting. If you’ve ever been unfortunate enough to be injured not just by the cars in our list, but by any other cars on the road, please get in touch and find out what your claim is worth.